This post’s TUNE comes from The Kinks, a legendary band! If you love The Beatles (and why wouldn’t you!! ), then you will love these! I love all the bands from this era, when I was younger and my dad used to tell me about them I wasn’t interested, but then one day I saw the light (not literally) and I realised just how good they really were! You can listen to this song here. So get yourself some Kinks in your life and visit the website here. Ooooh, I picked up these trousers in a sale in Internacionale when it was buy one get half price, as if a sale couldn't get any better! So I picked up these along with 3 other skirts, all of which will make an appearance soon I'm sure! Anywho, I'm really happy with them, it gets so boring wearing jeans or skirt, so it's nice to have a bit of a change. 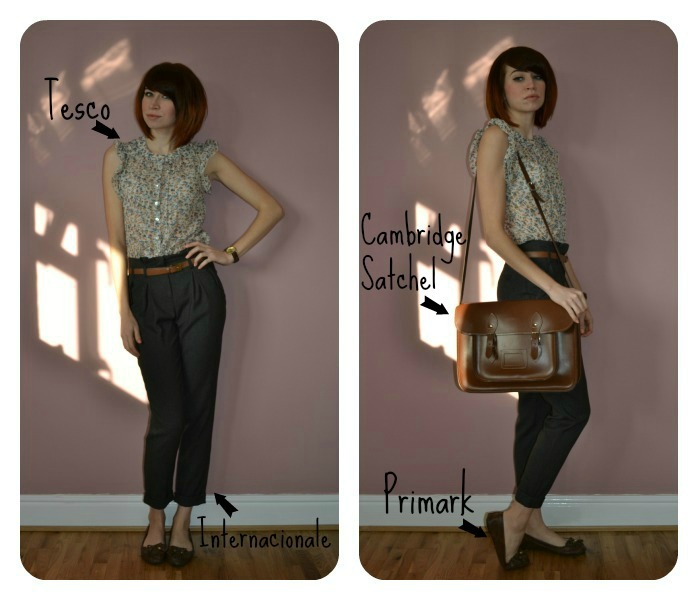 I think they suit my old Tesco blouse, as they both have a bit of a vintage look, yey. Great sale item those trousers, I never got into the paper bag style, as thought it shortened me in the body.. may re-try..
Also, I love your hairstyle! (hope I won't sound to creepy) I also wanted to get a similar cut but only if I would have dyed my hair on very light colour. That is such an amazing bag! Such a good post! You look so cute. 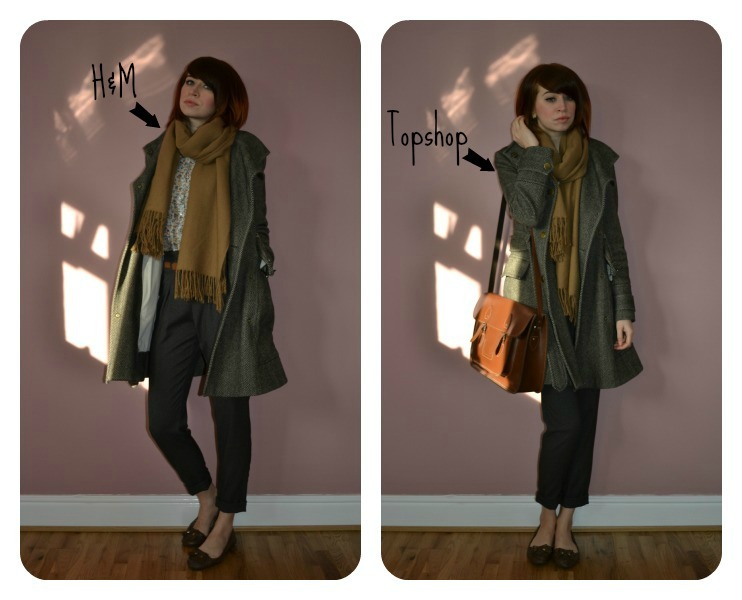 Just discovered your blog - your style is great! Love the shirt and especially LOVE your satchel! I want one :( Great blog, will definitely be following to read more form you! such a stylish, gorgeous outfit! Those trousers are so nice ! you have such lovely coats ! Same with my dad, he always listen that era songs, at first I dont care too but now I'm starting listen to those songs. You look gorgeous!! Love the coat!! Hi Helen. Thanks for the blog visit. You're so cute. 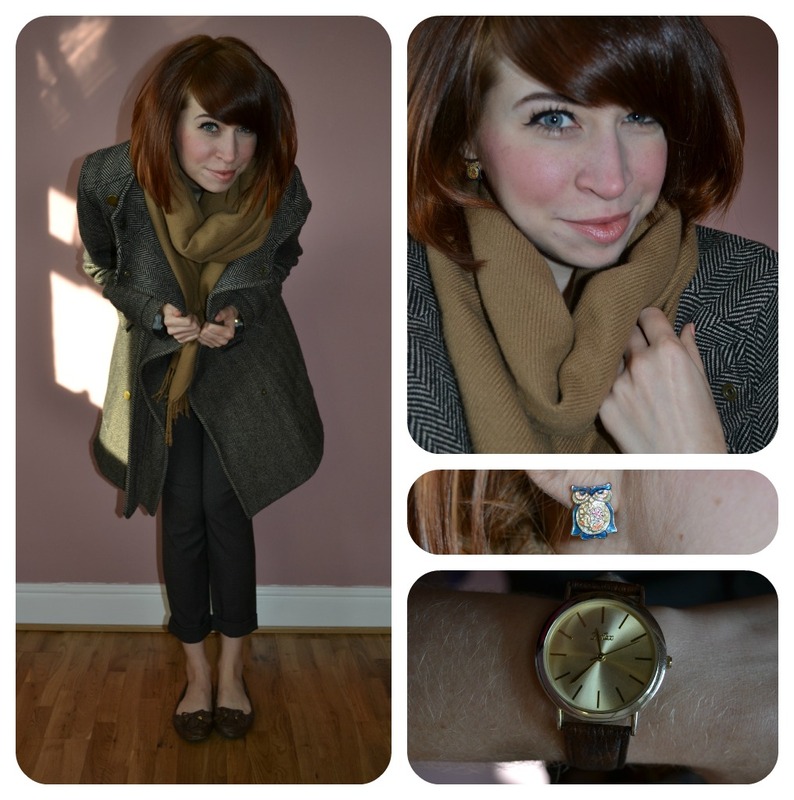 I love this outfit post and all the others. I've been skimming your blog and am now a new follower. Hopefully we could swap bloglovin, twitter, etc follows. please check my new post out! Thanks so much for checking out my blog! I love love love this outfit. Oh and your hair is gorg! thank u so much for the lovely comment. Hi Helen, thank you for visiting my blog. This entire outfit is amazing!! Thank you for your lovely comment on my blog - I appreciate your feedback.. Thank you for the comment on my blog! Oh and I love your satchel (maybe 'cos I have a Cambridge batchel in navy blue myself ;)). Great style! This is an adorable outfit! I love it! We love Beatles and we love this post!!! Great post! :) You look amazing!